The eight host of the Zehn symbiont, Kaedyn Zehn was born Kaedyn Tann on Trill to a Federation diplomatic attache and a Starfleet nursing officer. It was his mother Audzin, now captain of Starbase 235, who had the most influence on young Kaedyn, who followed in her footsteps to begin a career in nursing. 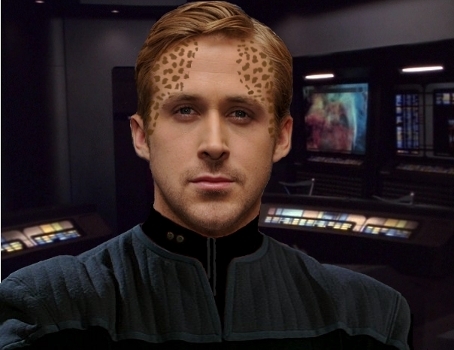 Originally a shy introvert, Kaedyn’s life changed when as a lieutenant JG, he was called to serve as the next host for the Zehn symbiont after a runabout accident killed its previous host Jilenna, a Starfleet Marine. Unlike most Trill hosts who undergo a rigorous selection process and training program by the Symbiosis Commission, Kaedyn quickly had to adapt to his new joined life. With seven previous lifetimes of experiences, Kaedyn has since adopted some of the personality quirks and mannerisms of his predecessors, such as clasping his hands together at the fingertips as Dr. Calla Zehn, a clinical psychologist, once did. Kaedyn has also become more outgoing and confident, and his circle of friends expanded to many of his colleagues aboard the Resolution, StarBase 118, and now the Vigilant. Kaedyn had originally planned a career as a research nurse, but those plans changed after the joining gave him new ambitions. While stationed on StarBase 118, he shifted in assignment from nursing to intelligence due in part to the expertise of his previous hosts. He served with distinction, fighting against corruption within Black Tower and weeding out Klingon and Romulan spies aboard the starbase. His current assignment aboard the Vigilant has been no less eventful. Whether it’s been exposing the development of biological weapons or fighting against the threat of the Bluegill, Kaedyn has continued his dedication to saving lives, albeit with a new set of tools and skills beyond those of sickbay. 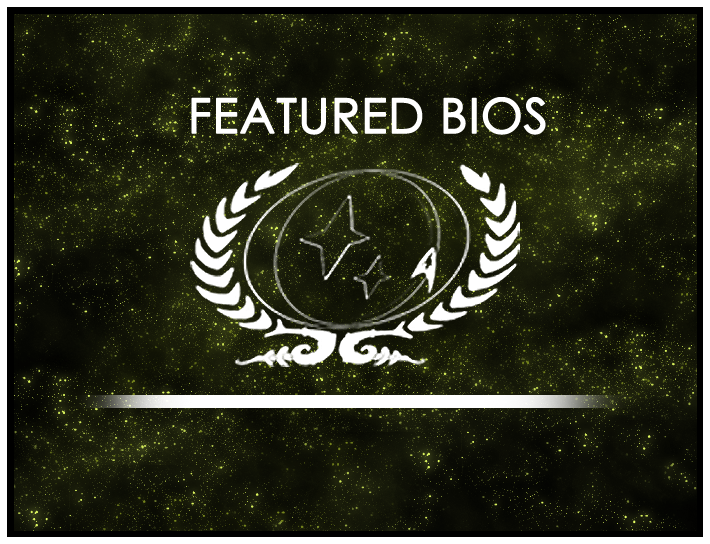 Lt Cmdr Kaedyn Zehn’s Bio will be displayed on the wiki’s front page for the month of July. As always, you can find out more about the contest at its wiki page or in its forum. Round 1 is now open, so be sure to drop by and submit your own nominations!